Every Customer asked us what makes us better then all our other competitors? One, Since we are family owned company we want to make sure each and everyone one of our Clients feel like they are family. Two, We want to make sure every client is completely satisfied. It doesn't matter if its a completely remodeled kitchen or a simple powder room vanity, every Counter Top is our number one priority. With being one of the Top Companies for Fabricating & Installation of Solid Surface Counter Tops. 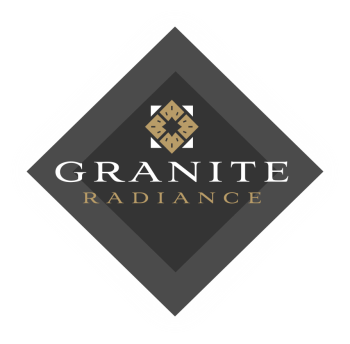 We deal directly with the Top Stone Importer in the Midwest, giving our Clients the very best Slab Selection with 1000's of Colors of Granite, Marble and Quartzite to choose from. And when it comes to Quartz Counter Tops, will only deal with the Top Quartz Manufactures in the Industries. Measuring for your quote is easy. Simply click on the diagram below that most closely approximates your layout and an editable PDF will open on your computer. Fill in the dimensions and save the form to your computer, then visit our online quote page and upload the form to us with your contact information.